Opening the Irish road racing season, the Banbridge CC promoted Travers Engineering Annaclone GP will take place on Saturday 18th February with pre-entry opening on Monday 6th February at 6pm. Two races will be on offer for competitors; a handicapped race catering for A1, A2 and A3 categories and a mass start A4 support race. Team Madigan promoted Round 6 of the Ulster Cyclocross Series on Sunday. 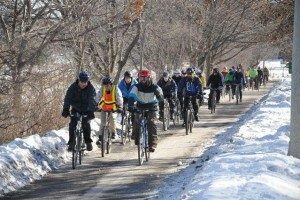 Despite the fact that some of the course had been vandalised the hardworking crew at Team Madigan had everything up an running in time for the feast of racing events. There was the usual Youth racing to start with and numbers here seem to be increasing all the time with girls participation well increased. Round 5 of the 2016 Ulster Cyclo-cross series took place at Windmill Park in Dungannon for the fifth year hosted by Island Wheelers with the co-operation and support of Mid Ulster District Council.As usual there was a full complement of races for young riders from Under 6 upwards. 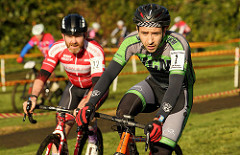 Over 300 riders participated in the 4th round of the Ulster Cyclo-cross League which were held in St Columb’s Park, Derry, on Sunday 30thOctober. The class of Asea Wheelworx rider Roger Aiken was there to be enjoyed, as he won the CX ‘A’ Race in a time of 53:31 against stiffcompetition from Barry Kellett of Dromara Cycling Club (Co. Down) and Graham Boyd of Xmtb McConvey Cycles (Belfast). 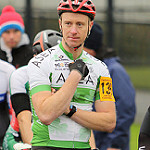 Foyle Cycling Club’s Ronan McLaughlin came in 11th in the ‘A’ race in a time of 58:03.